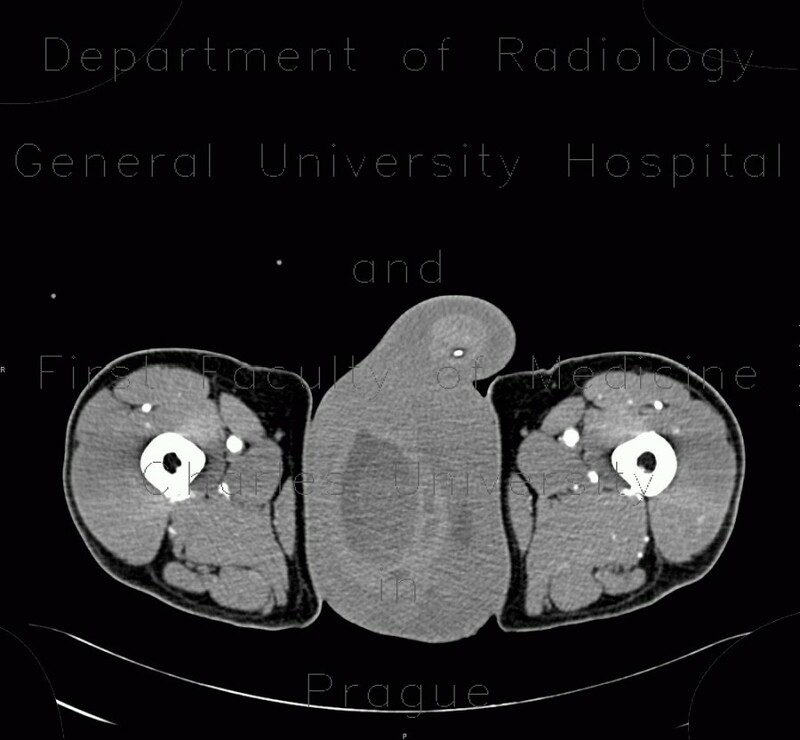 CT shows extensive hematoma in the scrotum extending from the right groin, where active leak of opacified blood can be appreciated. This is a complication of previous angiography with access through femoral artery. Note also opacified urine in the bladder after previous intravenous contrast injection.